Whether you run a diner or are managing an apartment complex, you need to hire a pest control company that specifically offers commercial pest management services to best suit the ever changing needs of your business. No matter the type of company that you own or manage, pests are unwanted. They keep your workers feeling uneasy and your patrons not wanting to return. 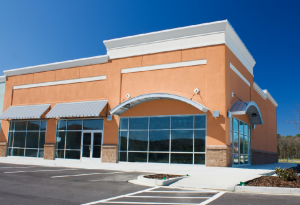 Many areas of your business can be affected if pests are left untreated. They can negatively affect everything; from the food that may be stored in the facility to the structure of the building itself. Pests can also start making the people that spend any amount of time in your establishment sick. It is important to have a scheduled pest control contract that treats pests year round since different types of insects and bugs thrive throughout the changing seasons. There will always be bugs in and around your business. Left unchecked, these pests will multiply and establish an infestation. Romar Pest Control has prepared a quick list of the positive benefits of having your commercial business sprayed regularly. Reputation: A business is a destination for many types of visitors including potential clients, employees and patrons that are thinking about doing business with you. You want to make sure that these people are happy and talking about what you have to offer as opposed to talking about the bugs and insects that they saw at you place of business. What your staff and visitors say can make or break your reputation. Your building must be kept free from pests if you want your reputation to stay intact. Prevention: Many people think that it is easier to handle one problem at a time. They wait for a pest to show up or an infestation to start before they act. This is a poor decision because if you wait for the problem to be noticeable, then it has probably grown into a full-blown infestation. For example; if you see a couple of cockroaches running along the dining room floor of a restaurant, you can be sure there are many more hiding behind the appliances and cabinets in the kitchen! Leaving pests unchecked leads to having to deal with a much bigger problem then you had hoped. A larger infestation means a lot more effort, product and time to sufficiently remove the infestation. Having a regular pest control treatment can prevent any potential problem from gaining hold. Money: If you think that waiting to treat a problem can save you money you are very wrong. A pest problem is not going to go away by itself. Call Romar Pest Control and one of our skilled technicians will come out and treat your building on a regular basis to take care of any bugs or insects that start to invade your boundaries. If you wait and have to call for a specific problem after it has been established, it may require a more intensive pest management service to get under control. Call Romar Pest Control today to set up a regular service agreement for your business.